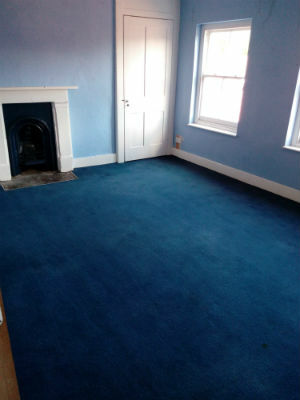 Vauxhall offers many and effective ways you can avoid the end of tenancy cleaning of your old home and still deliver your landlord the desired end results. By having a professional cleaning company handle the cleaning for you you are entitled to a thorough cleaning of the property, one that is entirely based on your needs and desires. The diligent cleaning technicians that work in Tidy Cleaning London are capable of a really thorough, high-standard cleaning. One that relieves you entirely of your responsibilities as a tenant to clean the property before vacating it. They are familiar with everything there is to know about the end of tenancy cleaning and achieving perfect end results- one that will most definitely earn you back the full amount of your deposit. The merits of having Tidy Cleaning London carry out the cleaning that is being asked of you, are many: most important of which is that you are guaranteed to receive an end result that is compatible with your own needs and preferences. Any cleaning chore included in the regular service packet can be dropped if you think it does not need a more thorough handling. As a customer of one of the most diligent and trustworthy end of tenancy cleaning companies in Vauxhall you are given the opportunity and choice to add up to our cleaners’ to-do list. The reason why letting Tidy Cleaning London handle the end of tenancy cleaning for you is the best thing for both you and your landlord is quite simple, in one word- professionalism. Undertaking such an enormous task by yourself and expecting great results is doable, given that you have the time, skills and technology for the job, otherwise you are prone to failure and losing face, as well as your deposit. There are many things, places and spots to consider when performing a thorough cleaning up of your property. Vacating a rental home means that you are supposed to clean it thoroughly and bring it back to a state that resembles a newly constructed and stationed home- there cannot be any small details left behind as they can jeopardize the entire curriculum – the only way to ensure that this won’t happen is to let Tidy Cleaning London and its handy cleaners handle the cleaning for you. We will bring your rental place to a state of utter cleanliness- by carefully planning every single detail of your cleaning you can rest assured that it will be a total success in the hands of our diligent employees – they are all licensed, vetted, ensured and with a great deal of experience and professionalism. You cannot expect nothing lesser than perfection from us, we are good at what we do and we love doing it. To us cleaning is more than a job, it is our way to contribute to the world and make your lives easier with plenty. End of tenancy cleaning is nothing like any other cleaning that you might be able to perform on your own- it is supposed to be impeccable and detailed, carried out to perfection without any omissions and lapses of an important cleaning details. 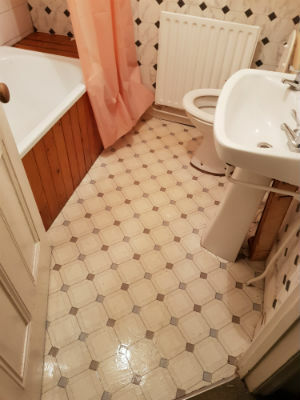 Suffice your landlord’s expectations and your own by purchasing an extremely detailed end of tenancy cleaning from Tidy Cleaning London, one that will account for the return of your full deposit back and the satisfaction of your proprietor. Why struggle with the labours of end of tenancy cleaning when Tidy Cleaning London is the one cleaning service in Vauxhall, Finchley and Finsbury Park completely on your side? You cannot possibly think that the end results we will provide for you will be anything like the ones you could do on your own – the difference between you and us is our skill, equipment, experience, knowledge and complete utter dedication.